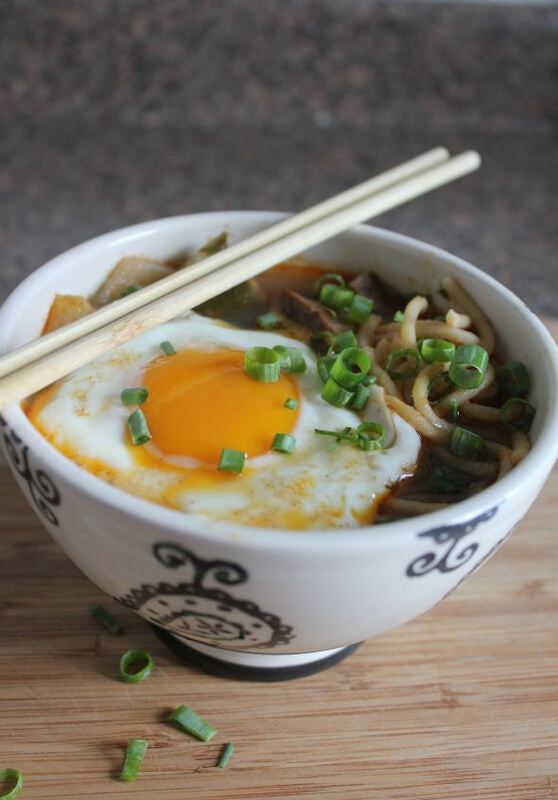 In downtown St. Paul there is a small restaurant that serves amazingly good bowls of ‘ramen’ or Japanese noodle soup. It’s called Tanpopo Noodle Shop and it’s delicious. The craving for a bowl full of Udon noodles often calls to me but Senor has never been overly excited to trek down to Tanpopo. It’s not far, really. But it’s the other side of town and a side that we have no other reason to go to. And until I made this large pot of Japanese-inspired soup, Senor had never tasted ‘real’ ramen.